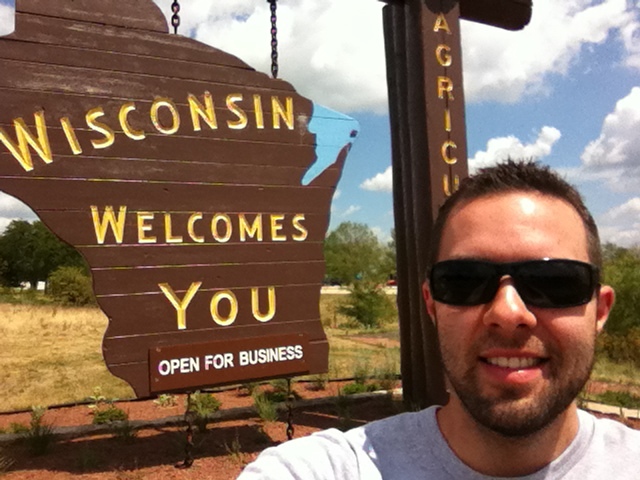 I’ve made it to my final destination in Brookfield, Wisconsin! 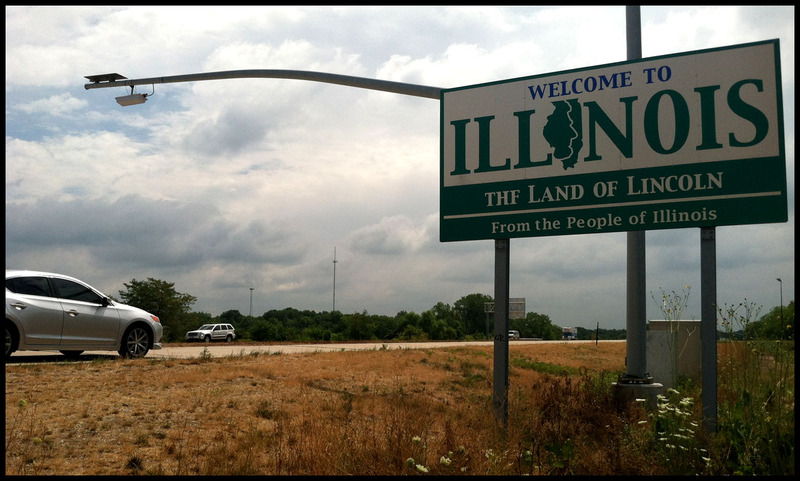 First time I’ve set foot in this state. Fewer than 48 hours after departing from my workplace in Scottsdale, I reached the finish line. It’s a lot greener here than the Arizona desert that I’m used to. The 8th annual National Acura Legend Meet is now underway and there are Acura enthusiasts coming from various parts of the country to participate. Our ‘host’ hotel parking lot at the Quality Inn will be dominated by Acura Legends in the coming days. 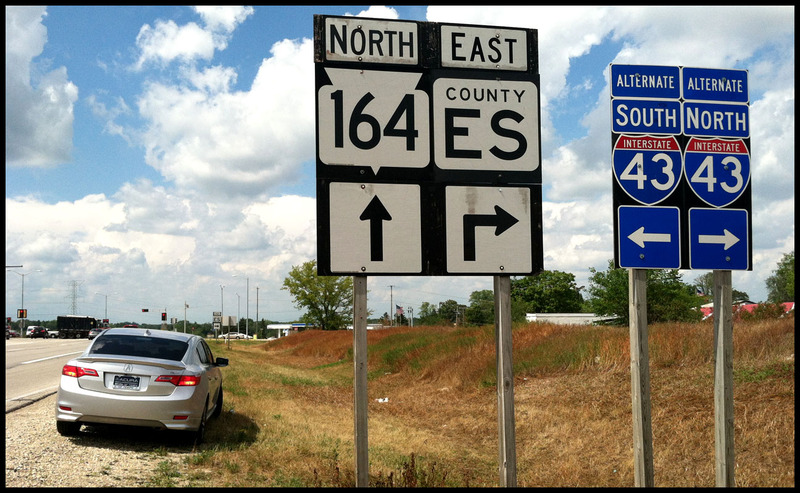 For the first time since the event’s 2005 inception (Dallas, Texas), I left my 1994 Acura Legend LS coupe at home and instead made the trip in my 2013 Acura ILX Premium 6-speed. It was a fun ride! And, since I’ve got to get home to Arizona by Sunday night – it’s only halfway over. 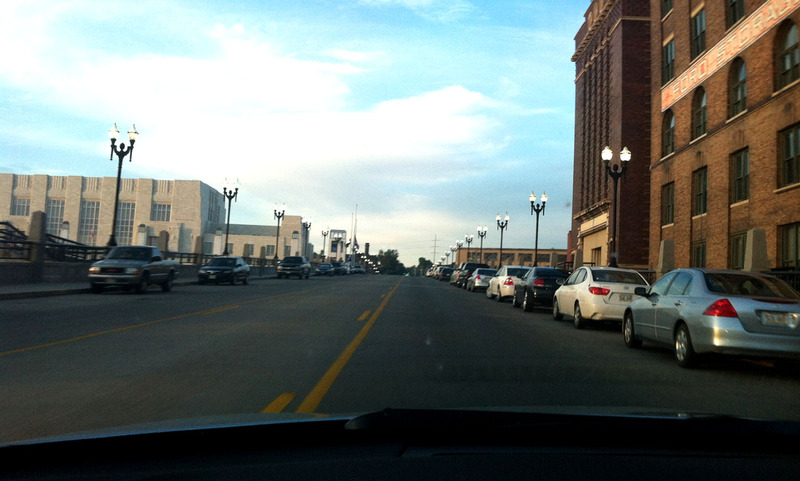 This morning started off with an early departure from my motel in Omaha off Interstate 80. I attempted to get into Kenefick Park in east Omaha to get an up-close glimpse at the Union Pacific Big Boy #4023 steam locomotive on display there. I saw another one of the 8 remaining “Big Boy” locomotives this past weekend in Cheyenne, Wyoming so I thought it would be fun to have a look at another. 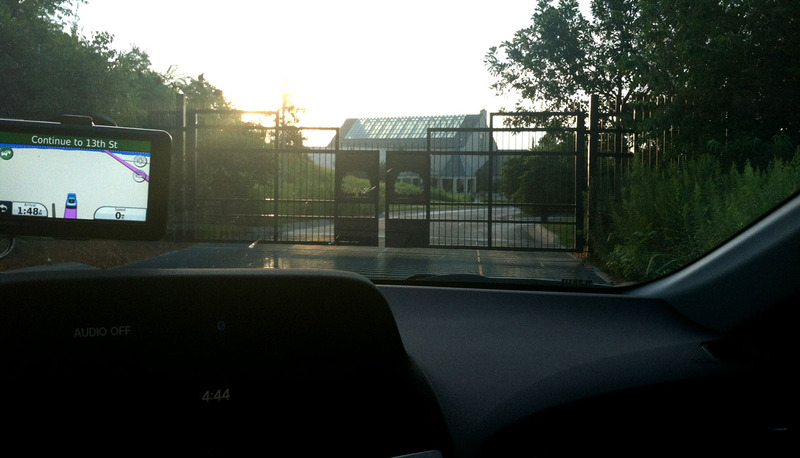 However, I learned that the park does not open until 9 a.m. so I was met with a closed gate. 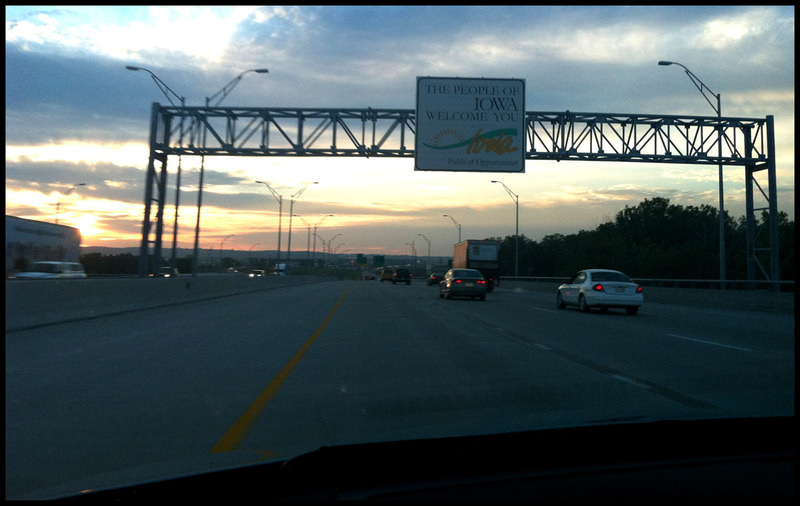 As the interstate crosses the Missouri River, I entered Iowa but was unable to stop in time for a picture. 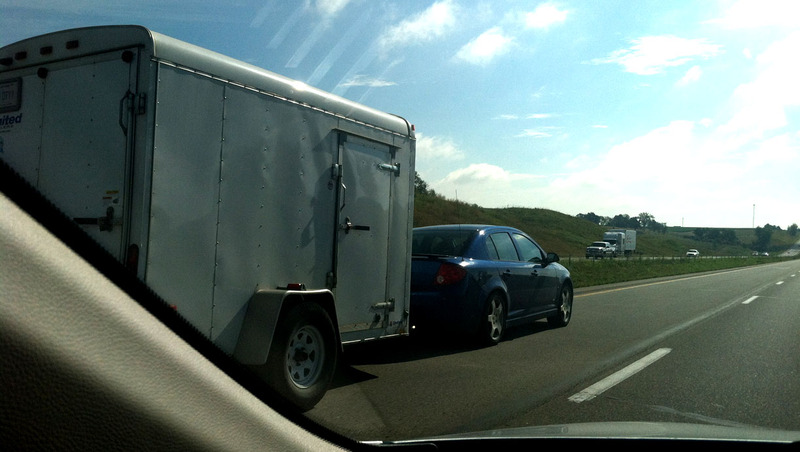 Anybody know the max towing capacity of a Chevy Cobalt? I think this guy has it figured out. On a side note, I have to wonder what the state of Iowa is using on its roads in the winter to keep the snow away. Even cars that are just a few years old are starting to rust out like crazy! I saw a relatively new Mazda 3 with rusted out quarter panels and an Explorer that looked like rust had consumed its entire running board. 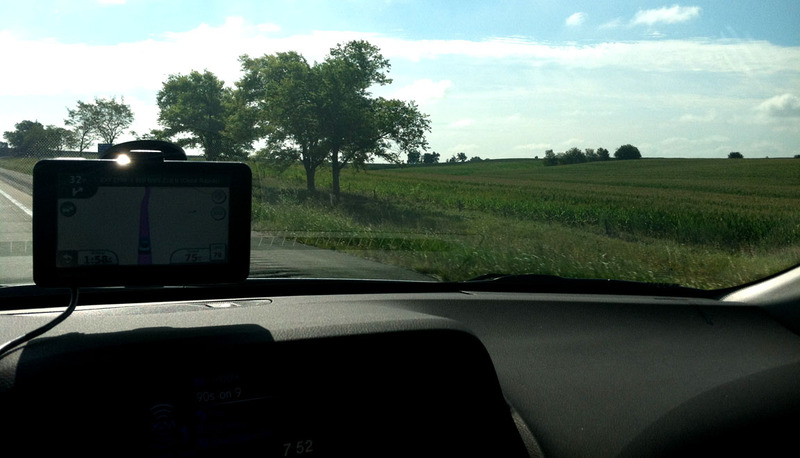 Cornfields… cornfields… and more cornfields. Welcome to Iowa! 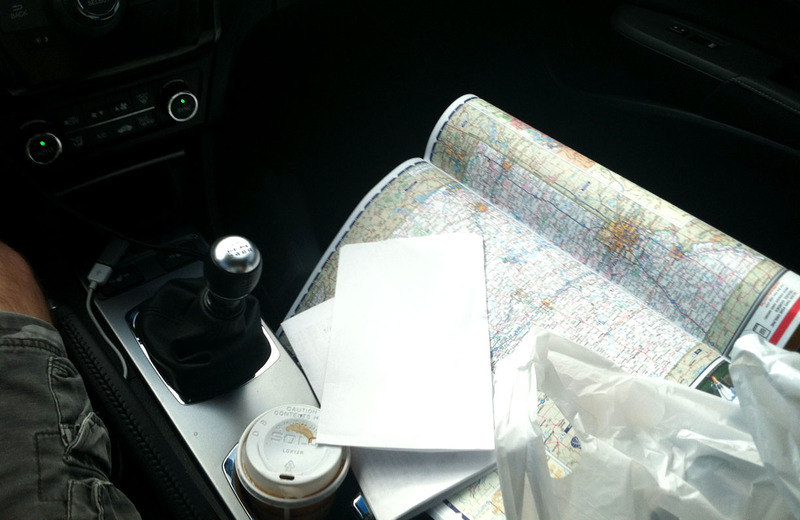 I’m really not a slob but this is what my ILX interior looked like for much of the drive. 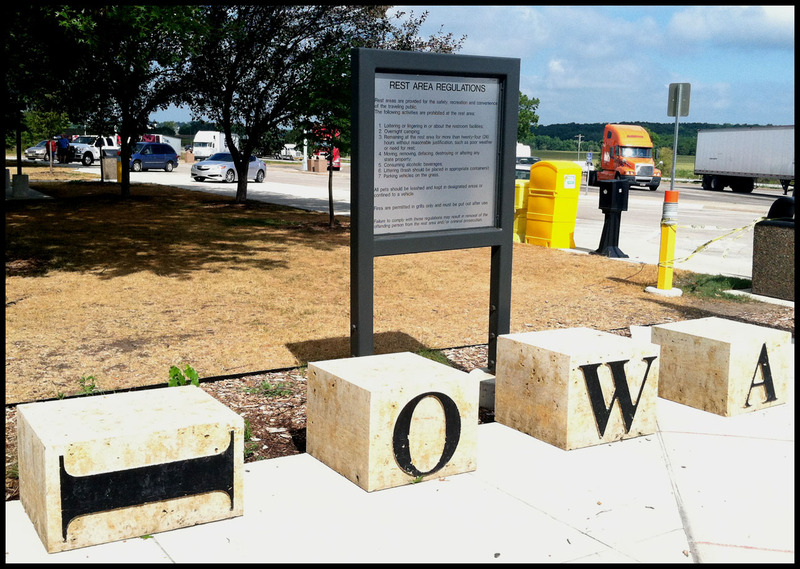 Rest stop off I-80 in Iowa. While pit stopped, a discovery. 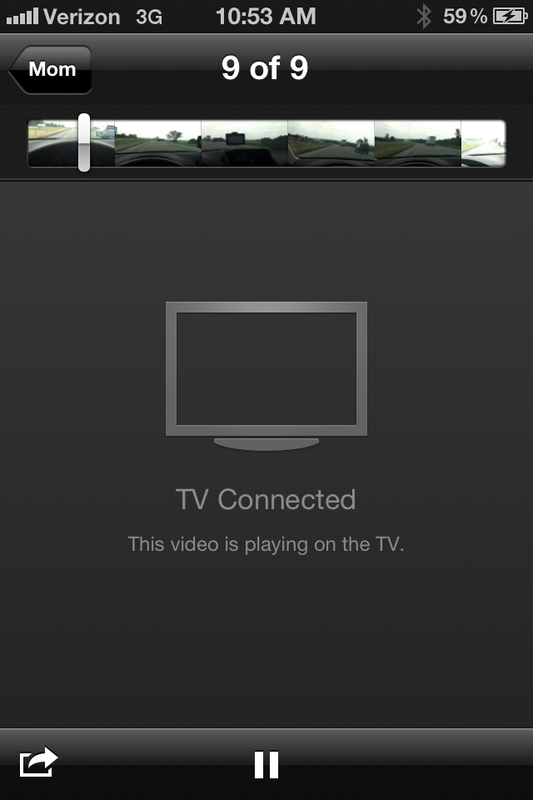 When my iPhone is plugged in with a USB cable, if I try to watch a video I’ve filmed or received via text message, my iPhone “thinks” it’s being played via TV so I can’t see anything on the screen. Tech people, any ideas? The words “WORLD’S LARGEST” evoke excitement no matter what they’re in reference to. 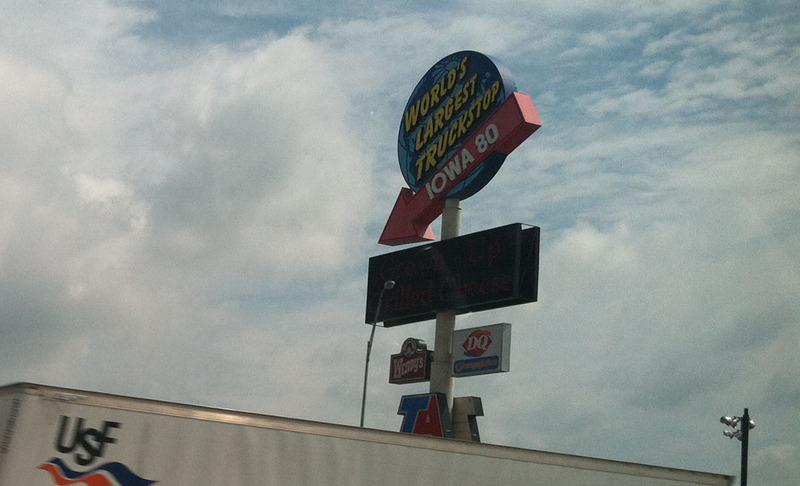 It took every bit of willpower in my being to keep me from turning around at the next exit on I-80 and seeing what the “World’s Largest Truckstop” had to offer. Welcome to the Land of Lincoln! 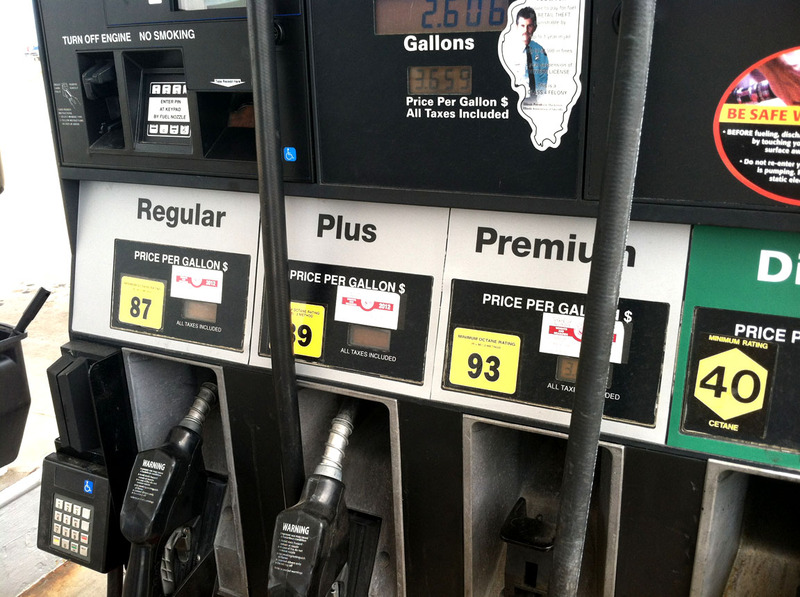 MPG’s just keep getting better. Thanks to some conservative driving (and 55-65 mph construction zones all through Iowa) I got the average to creep up to 32.3 miles per gallon. 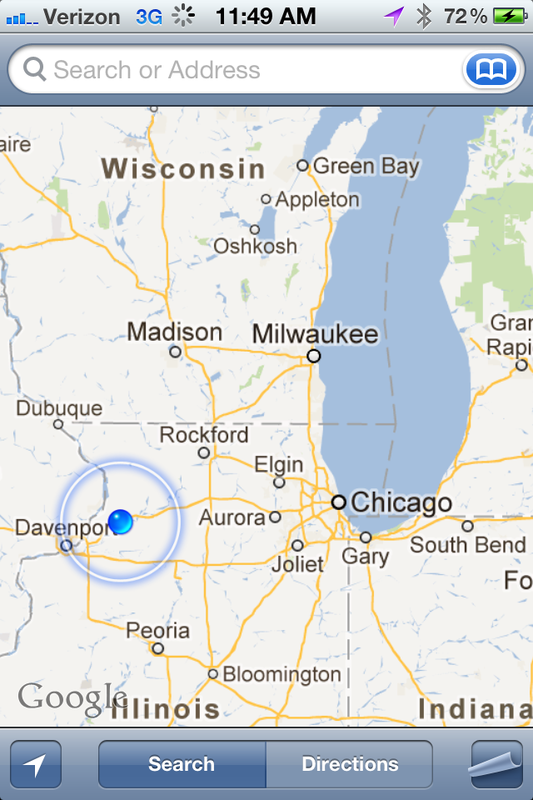 Starting to get closer to Milwaukee! It’s fun to see that blue dot creep ever closer. Tollways. 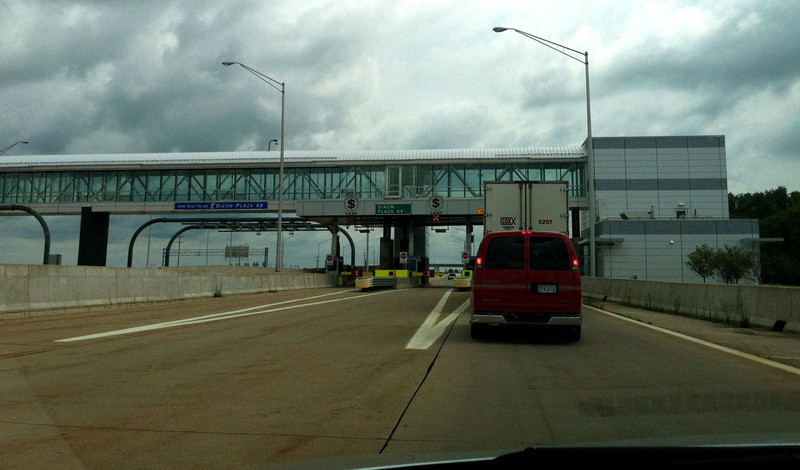 I spent a total of $5.50 today on tolls on Interstates 88 and 39 in Illinois. 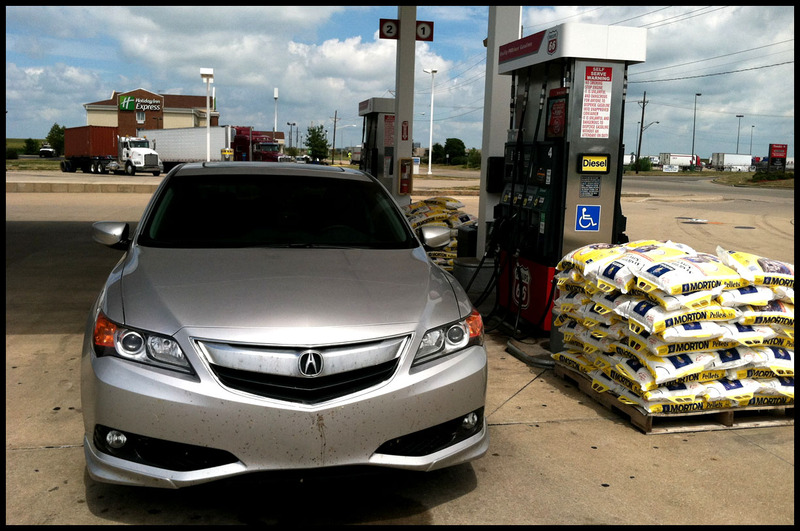 “Alex” the ILX gets his first taste of 93 octane fuel for $3.65 / gallon just south of Rockford, Illinois. We only get 91 back home. Starting to look pretty buggy up front. Thank goodness for that clear bra I had installed a couple of weeks ago. 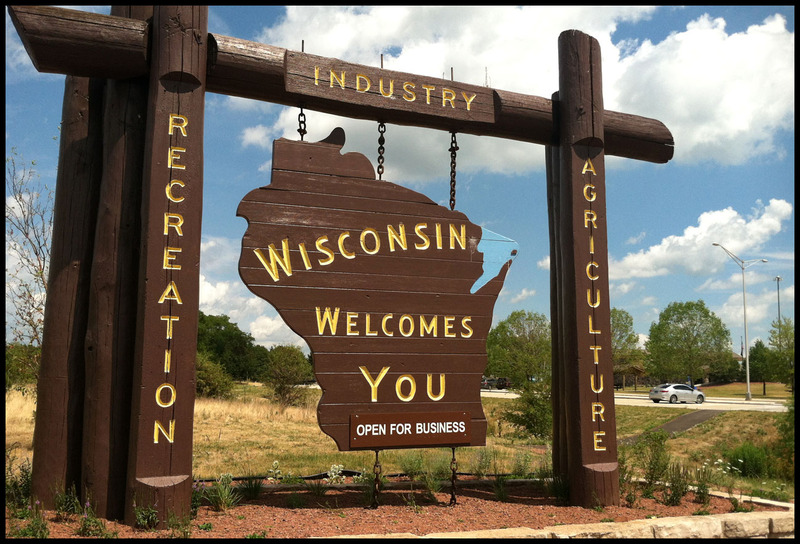 Signs for Wisconsin. We’re getting there! 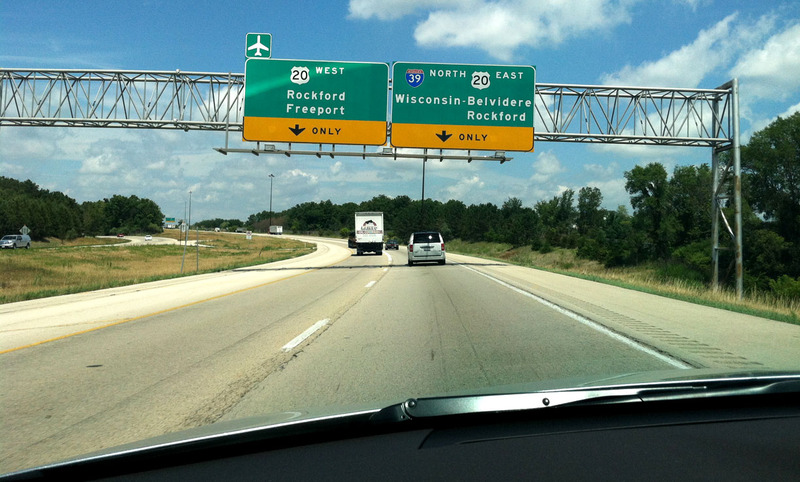 Just off I-43 and nearing my destination in Brookfield. Intergalactic travels in the ILX! 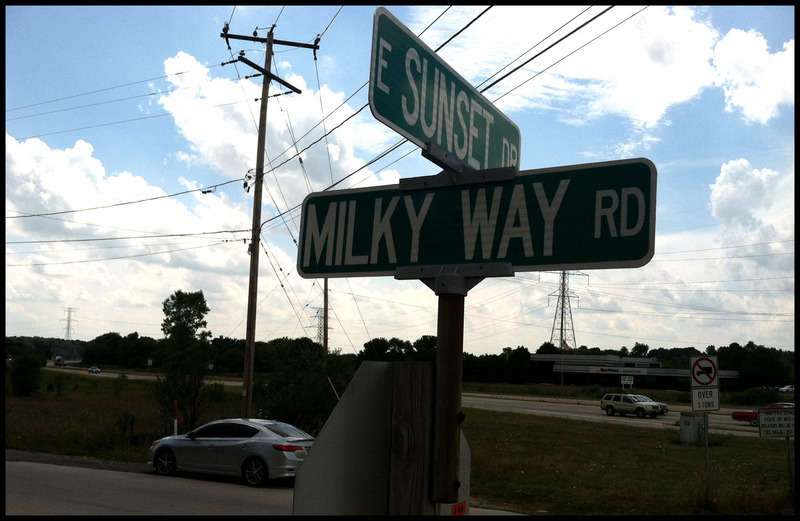 Milky Way Rd! 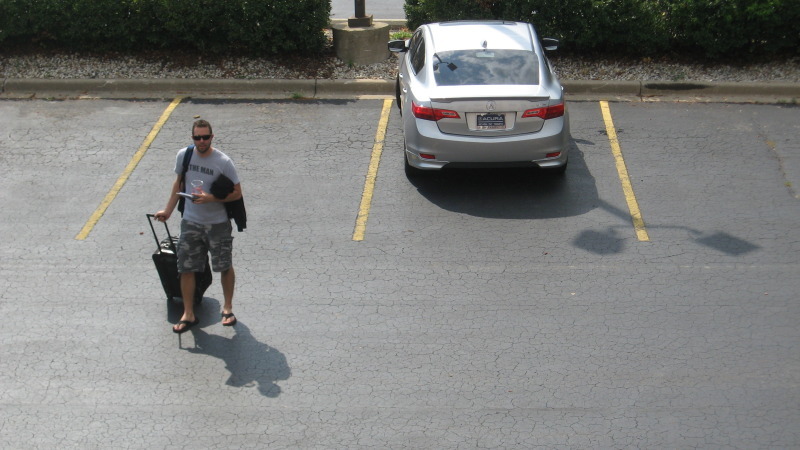 On another interesting note, it wasn’t until I pulled into the hotel parking lot that I even saw another Legend this trip! And no ILXs. I reunited with some friends of NALMs past and had a great evening. The humidity here is killer! Alan from Florida was the first to do a little test drive. 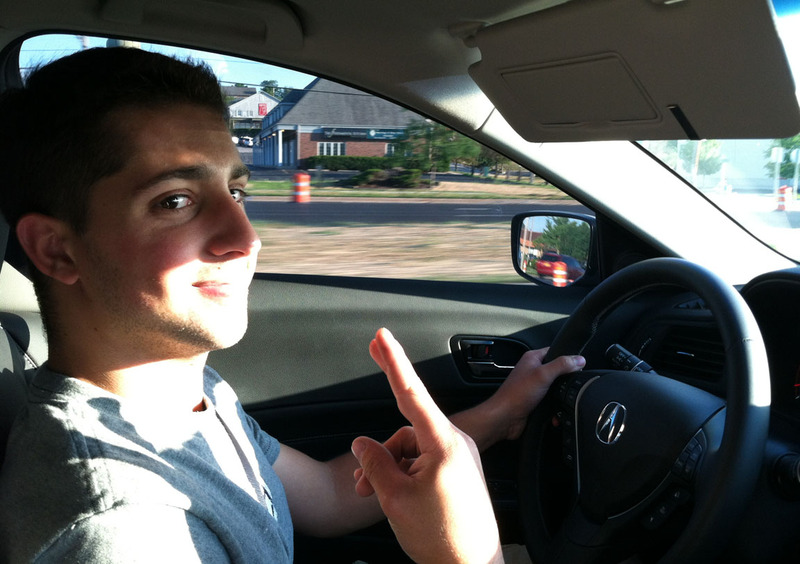 My buddy Tom from Connecticut also took the wheel of the ILX. He’s a former Legend owner but currently driving a 2006 Acura TL 6-speed. 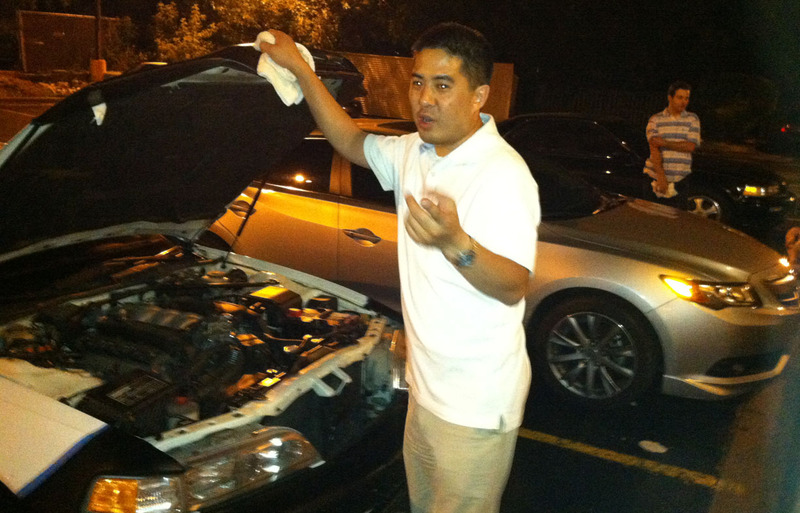 Waseem from Detroit giving his immaculate 1990 Legend LS sedan a bath. Here’s Ben – I’ve known him since the first NALM in 2005. This guy presented me with the a special souvenir today – a custom machined titanium shift knob commemorating my Legend’s 500k mile accomplishment. 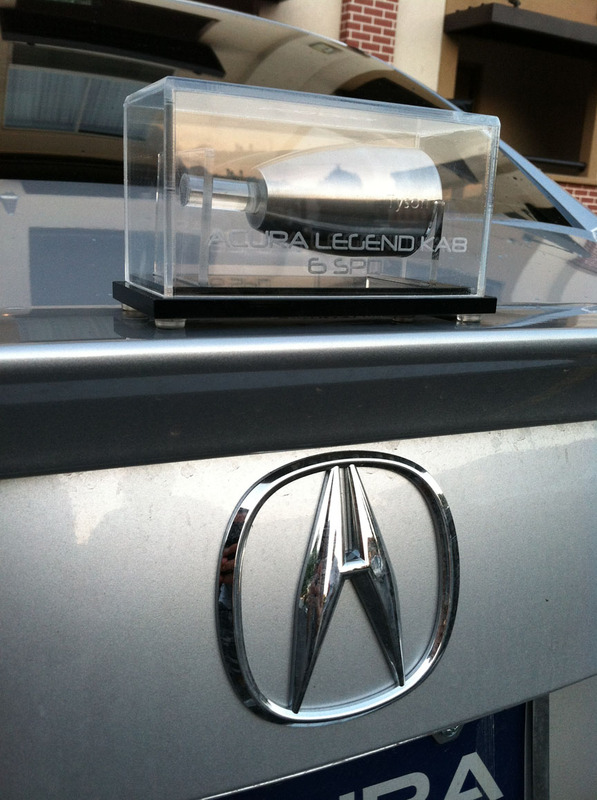 Pictures don’t do this thing justice – it’s engraved with my name and the Acura emblem, and enclosed in a custom made acrylic case. Thanks Ben – this is awesome! 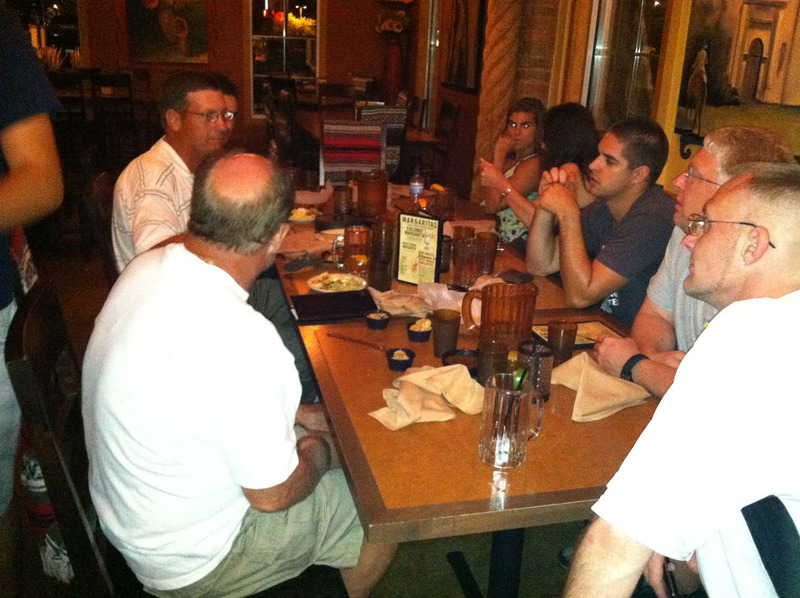 Finished out the evening with dinner. 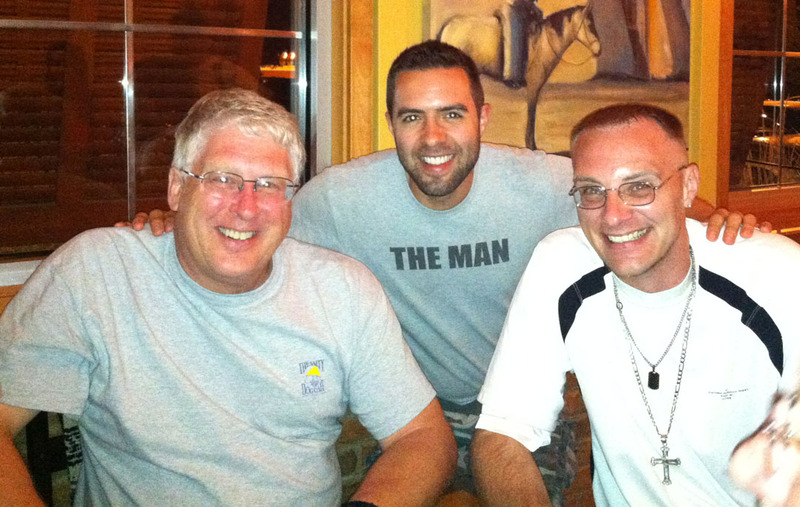 Pictured here with Kevin (my biggest fan) and Chris (hosting this year’s NALM). (Another) Ben – this one from San Francisco – arrived tonight too. This guy is apparently as crazy as I am! His 1992 Legend LS coupe has been to the last several NALM events regardless of distance. 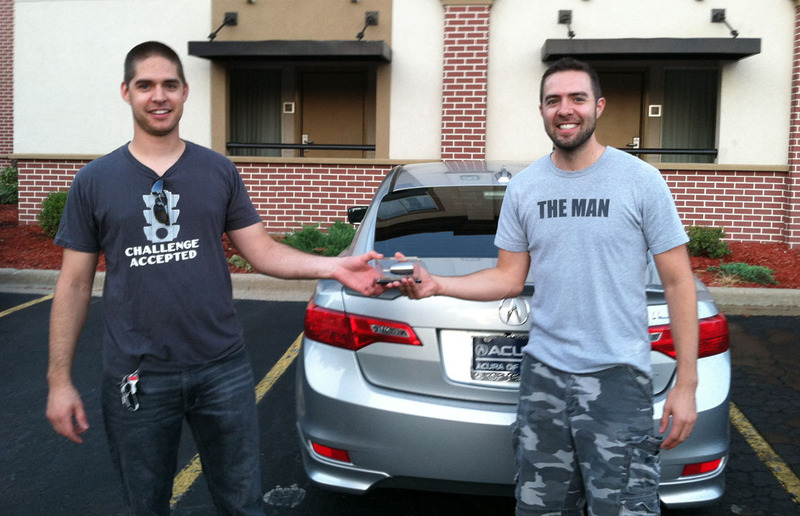 This is what I love about the Legend (and Acura in general) community – its people. It doesn’t matter that I showed up in something other than a Legend at today’s meet. It just matters that I’m here. Tomorrow, more festivities await and I’ll begin my return trip to Phoenix, though traveling via a different / more southern route. My nightly destination will depend on what time I break away from Brookfield. Tune in tomorrow night to find out! 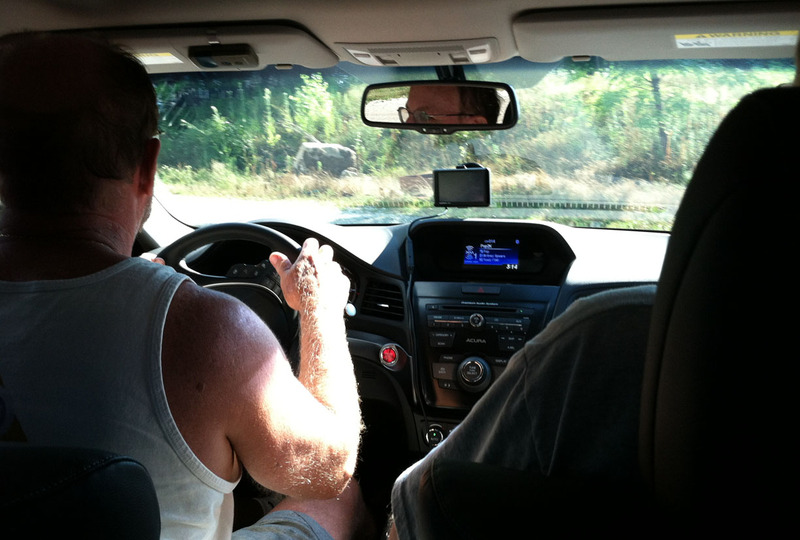 This entry was posted on July 26, 2012 at 9:35 pm and is filed under ILX, NALM, Road Trip. You can follow any responses to this entry through the RSS 2.0 feed. You can leave a response, or trackback from your own site. 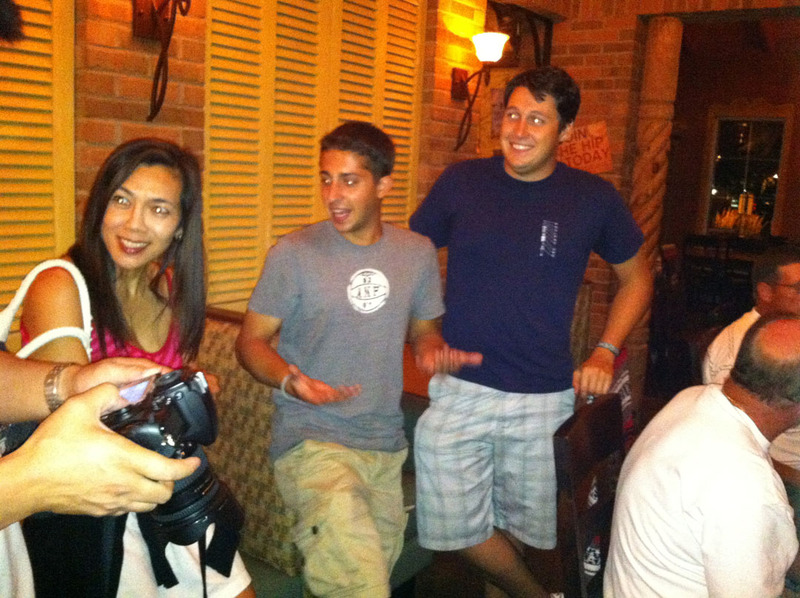 I feel I have gained some kind of “Legendary” status by being included in your great blog. It was a pleasure to finally meet you. Can’t wait for your signature on the inside of my trunk lid today! Kevin, glad the day’s finally here. Long-awaited for me, too. That vineyard gray Legend sedan sure is sparkling outside. Wanna trade? Alan said that Little Red is doing well! I’ll have to ask him what the current mileage is on it now. Maybe he’ll bring it out to next year’s NALM. I say – ME TOOO! Have enough fun for BOTH Marc and I Tyson! You know it, Dave! Wish you could’ve been there too. I think the guys spent tonight at the drag race track. I’m anxious to see photos & videos of everything that went on.